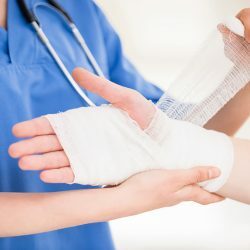 Data released by mmadigital has revealed the key reasons behind wide-ranging clinical negligence, personal injury and industrial disease claims – as well as how much claimants can expect to receive in damages. The two most common reasons behind clinical negligence claims relate to pre-treatment situations – failed diagnosis and negligent delay in treatment or surgery – demonstrating the strain the health service is under and suggesting that NHS claims are being worsened by long waiting times and consultation outcomes. The estimated total clinical negligence liabilities facing the NHS is said to have risen to around £65bn. mmadigital analysed 12,000 of its legal claim enquiries, which also revealed other legal claims trends, including average estimated pay-outs. Clinical negligence damages average £124,823, compared to £21,332 for personal injury and £13,929 for industrial diseases. mmadigital provides services that help match potential claimants with professional lawyers. In other claims areas, car accidents were behind 22% of all injury-related claims, with 2% from motorbike and 2% from cycling accidents. Accidents at work accounted for 22% of cases and slips, trips & falls for 17%. July appears to be the busiest claims month, accounting for 14% of claims, followed by August at 13% suggesting that summer may be the time when people dwell most on making a claim enquiry. In contrast, December had the lowest level of enquiries at 4% – as people are likely to be distracted by the Christmas festivities – putting off making claims until the New Year. The data also shows that claim enquiries are pursued by people of all ages but are most likely during middle age. 22% were 45-54, 20% were 25-34, 18% were 35-44, and 16% were between 55-64 years old. Only 10% were over 65s and 13% were under 24. The legal claim services mmadigital provides include The Medical Negligence Experts and The Compensation Experts, as well as five other consumer legal areas. They include thorough vetting procedures backed by qualified legal and medical professionals to ensure claims are only pursued when valid. 21% of claim enquiries were from the North West, 17% from the South East and central region, 16% were from the Midlands and 15% were from the North East. 11% came from East Anglia, 10% from London, 6% from the South West and 4% from Wales. Click here to download our infographic for the most common types of claims accepted by law firms.